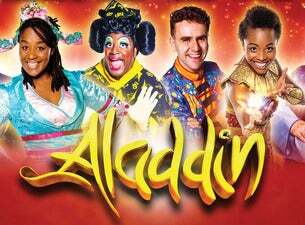 Aladdin is a brand new traditional pantomime extravaganza coming to the Broadway Theatre, Catford! Fly on a magic carpet this Christmas to the enchanting world of Peking where an adventure will unfold. Meet our brave Aladdin, our rebellious princess, our larger than life Widow Twankey and be part of Wishee-Washee’s gang, will these friends foil the Evil Abanazar’s plan? Staring CBeebies Joanna Adayinka-Burford, Broadway Theatre favourite Wayne Rollins and Duane Gooden. Expect lots of audience participation, dazzling costumes, spectacular sets, live music and magical special effects. This magical tale of a foreign land will guarantee to make your pantomime wishes come true! Presented by Selladoor Family, Aladdin is a fun-filled pantomime adventure for the whole family!